eCoexist would like to revive the awareness of the beauty and power of Nature into everyday urban lives. We believe that when love for Nature is inspired in a human heart, it will naturally want to protect Her. We help people to recognise the deep impact their lifestyle choices have on their environment. eCoexist believes that harmony within oneself and with each other, leads to a harmony with the environment. We strive towards this harmony by processes of inclusion and sharing. All our work is joyful as we believe in celebrating life! eCoexist believes in creating beauty by reviving crafts that originally used natural materials. We also promote technologies and new materials that are ecoesensitive. We strive for a high level of craftsmanship and aesthetic. 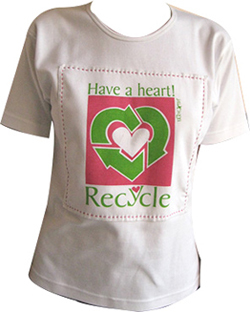 All our products provide a source of livelihood to socially dispriveleged groups. All our products are non polluting and provide an income to under priveleged groups that are trained to manufacture them. We distribute our products to nearly ten cities all over India and some select products abroad as well. Contact us at ecoexist@gmail.com or visit http://www.e-coexist.com to read more about our work.